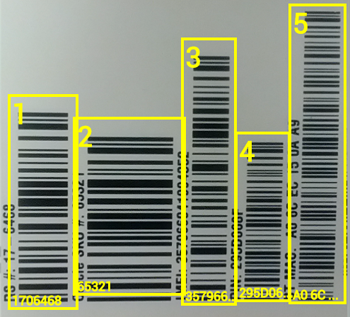 Assets with multiple barcodes positioned closely together can be challenging to scan. Today we introduced augmented reality (AR) within the camera view of our SD PRO scan engine (Android OS now, iOS to follow later this year). This enables users of our asset tracking app to preview the values of multiple barcodes simultaneously and then select the correct barcode to capture and submit to an asset database. Decode + Validate + Auto-Selection: The codeREADr app would decode each of the barcodes in the viewing window; temporarily record all the values; check the values against a client’s database (or regex pattern); and then auto-select the correct barcode value for the scan record. Decode + Record-All + Manual Selection: The codeREADr app would decode each of the barcodes in the viewing window; temporarily record all the values; present the app user with a list of the values after optionally checking the values against a clients database (or regex pattern); and then allow the app user to select the barcode value for the scan record. The camera and focusing technology used on smartphones and tablets continue to advance along with codeREADr’s scanning and decoding technology. We see a future where the AR process, especially with validation, could significantly improve the accuracy and efficiency of our asset tracking app.